Note: Requires residence to be located in Dade, Broward, or Palm Beach County for installation. 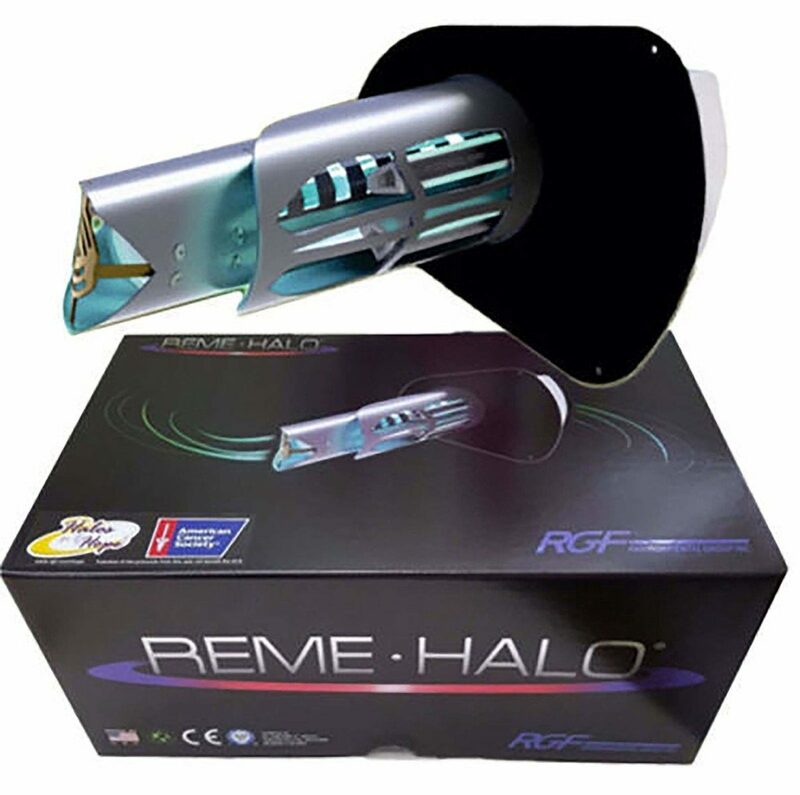 The REME HALO® in-duct air purifier utilizes RGF’s patent-pending Reflective Electro Magnetic Energy technology. Installed into the supply plenum of your existing air conditioning or heating system air ducts, the REME HALO® in-duct air purifier produces Hydro-Peroxide plasma that is distributed through the air handler, through the duct system and into the conditioned living space. Unlike passive air technologies, which need pollutants to pass through the unit for purification or filtration, the REME HALO® in-duct air purifier sweeps through your home actively purifying pollutants at the source. In addition, the charged plasma induces particles to coagulate or stick together making them bigger and easier for your filter to catch. Hydro-Peroxide occur naturally in the earth’s atmosphere and are part of nature’s process of cleaning the air.